Writing on the Air is broadcast each Wednesday at 6pm Central from the KOOP Radio studios in Austin, Texas. We’re heard live on 91.7FM KOOP – Austin, KOOP.org, TuneIn.com and Radio Free America. Episodes are available in our Radio Free America archive for 2 weeks after broadcast. Did you know we have over 150 podcast episodes? To listen, just browse our episodes here on our website and download the audios from each page; or you can download the podcast from the Podcast ap and iTunes. For show updates, be sure and follow Writing on the Air on Facebook and Twitter. 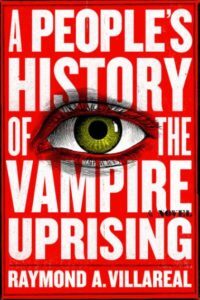 Raymond A. Villareal‘s first novel is A People’s History of the Vampire Uprising (Hachette’s Mulholland Books, June 5, 2018). The book was chosen as one of “The 20 best reads for your summer break” by New York Post and one of “10 hot books for summer reading” by USA Today. 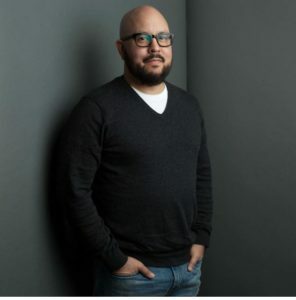 Film rights have been optioned by 20th Century Fox and 21 Laps Entertainment. Raymond A. Villareal is a practicing attorney in San Antonio, Texas. He is a graduate of Texas A&M University and the University of Texas School of Law. For more information, please see the author’s website. You can keep up with Raymond on Instagram and Twitter.